United States Flag Store has a great assortment of Valentine’s Day Flags to decorate your house, yard and mailbox. Available in both garden or banner flag styles, our flags are made for outdoor use, so they are fit to withstand most weather conditions. We also carry decorative mailbox covers for Valentine’s Day, too. Available in both banner and garden sizes, the Love Bug Valentine’s Day flag features a whimsical lady bug design with bold colors. Also available as a mailbox cover. The Happy Valentine’s Day Flag is another whimsical flag with a large red heart against a fanciful design of more hearts and swirls. Available in both a banner and a garden flag. The Love Everywhere flag is a cute design that showcases a large pink heart that is surrounded by colorful flowers on a black background. This flag is available as a banner flag , garden flag and as a mailbox cover. Celebrate Valentine’s Day with these bright and colorful flags. United States flag store also carries wall mount flag poles for the banner flags and a garden flagpole for the garden flags. Everyone associates St. Patrick’s Day with wearing green but it’s much more than that. Over the years, I have learned there are more ways to celebrate St. Patrick’s. Being an American, I have only seen people wear green, go to parties, and hold parades in the news. It wasn’t until recent years I found out that people made a tasty dish called Corned Beef and Cabbage (even if it’s just in the States). While I spent my St. Patrick’s Days at school growing up, it was still more fun to wear green and watch everyone else doll themselves up in wacky getups, wigs, jewelry, etc (plus all the kids got a green shamrock cookie at lunch)! We would read stories about Ireland and learn more about their culture. When I learned St. Patrick’s Day was also about feasting, I was very excited since my interest in UK and Irish culture has increased over the years and I love food. I have tried soda bread which is delicious but I have yet to try boxty (Irish potato pancake). Saint Patrick is the patron saint of Ireland who was known for bringing Christianity to Ireland. He was originally from Britain but later came to Ireland to live. It is said March 17th is the day Saint Patrick died. St. Patrick’s Day was created as a religious holiday meant to celebrate his life and work but has become a public holiday in Ireland since 1903. St. Patrick’s Day is more important on the other side of the pond. While March 17th is a normal day for people in the United States with the addition of green to our wardrobes, it is actually considered a public holiday in Ireland, so places like banks, government offices, and even schools are closed. Since it is Ireland’s national holiday, it is a day for families to observe. Families will attend mass while wearing their best clothes to honor Saint Patrick while parades are held celebrating Irish culture. Once mass is complete, they usually join together for a feast though not with corned beef and cabbage, but rather bacon and cabbage. This dish is enjoyed with some parsley sauce, maybe with a bit of mustard and some potatoes. While people are drowning shamrocks and toasting a certain beverage that is sometimes dyed green for the occasion, I will be St. Patrick’s Day with some Barry’s Tea imported from Ireland. Pairs up very well with a nice soda bread (especially a freshly baked one that’s buttered up while it’s nice and hot. You can also celebrate with Bewley’s, Twinings, or even our very own blend. And so I raise my teacup in honor of Saint Patrick saying this old saying, “May your blessings outnumber, the shamrocks that grow, And may trouble avoid you wherever you go.” Happy St. Patrick’s Day! Pubs weren’t actually allowed to open on St. Patrick’s Day until the 1970s! The color of St. Patrick was not originally green but instead was blue! That changed in the 19th century when green became a more official color for Ireland. Saint Patrick’s given name was Maewyn Succat. He adopted the name Patrick once he became a priest. Thanksgiving is Turkey Time and More! This collection of 4 fun Thanksgiving banners is just the ticket to decorate for curb appeal this Thanksgiving! These banners show equally well from either side. They give a stained glass effect in sunlight or spotlight. The first 2 in this collection are individual fabric pieces sewn together and all measure 28” x 44”. The last 2 are silk-screened. All are made from soft, high-quality nylon fabric. Mr. Gobbler is both fun and festive! He has a black and white polka dot pilgrim with a gold sequin buckle. Tom Turkey is surrounded by fruits and flowers of the season and gives a cheery welcome to your Thanksgiving guests! This Happy Thanksgiving Turkey Flag hangs outside your home or business to celebrate the season! Try pairing it with our matching mailbox cover and/or smaller garden flag for maximum Thanksgiving punch! Having your photo on United States Flag Store’s website: Priceless! Send us your photos of our products in use or on display. If we use your picture, we will send you a $25 thank-you gift to be used on any of our merchandise! email photos to elizabeth.stubna@onlinestores.com with the product’s website item number or SKU, and the name and address on your registered account, so we can be sure to get your prize to you! Please note the following: you must be a registered user of united-states-flag.com to receive your non-transferrable credit code. (you can register here: https://www.united-states-flag.com/customer/account/create/) Limit one credit code per registered user of united-states-flag.com. Submitting photos indicates your agreement that the photos are your own, and everyone identifiable in them has given consent to have their likeness used by us for any purpose on any onlinestores.com website. Photos must be accompanied by the SKU or item number from united-states-flag.com. Easter is coming up just around the corner on March 31 this year. If you’re looking for a beautiful way to decorate your home for this important holiday, then check out some of the Easter banner flags at the United States Flag Store. The United States Flag Store has a wonderful selection of both whimsical and religious Easter banner flags that available at unbeatable prices. Read on to learn more about the religious Easter banner flags. The Inspirational Cross Banner Flag is a beautiful and respectful way to decorate your house for Easter. The flag features a large stone cross with gold accents in front of a black and gold background. The text, “Trust in the Lord with all your heart” appears in large capital letters on the cross. This flag is printed on high-quality nylon, is designed for vertical display, and measures 28 inches by 40 inches. Order one of these flags today for just $21.00! The He is Risen Cross Easter Flag is the perfect flag to commemorate the Easter holiday and also celebrate spring. The flag features a cross in the center of the flag in front of a decorative purple background. Beautiful pink, purple and yellow flowers appear inside the cross, along with the text, “He is Risen,” in purple script font. The flag is designed for vertical display, made in the United States, and measures approximately 28 by 40 inches. Order one of these beautiful flags today for only $19.99. The Golden Cross Flag is a simple and classic way to decorate your house for Easter. This flag features a three dimensional cross that is gold in front and white on the sides. The cross appears against a two-toned purple background. This flag is mildew and fade resistant, made of high quality nylon, and measures 28 by 40 inches. Order this flag today for only $21.00! Easter is coming up this month, March 31, and there’s no better way to decorate your house for the joyous holiday than with an Easter decorative banner flag from the United States Flag Store. The United States flag store has a beautiful selection of banner flags for Easter. As always, all flags are made from the highest quality materials and are available to you at the lowest possible prices. Read on to learn about some of the great designs. The Easter Chick Banner Flag is the perfect way to decorate your house for Easter. This adorable banner flag features an Easter basket filled with colored eggs, grass and a white flower. The basket has a big purple bow on top and a toy chick on wheels appears in front of the basket. The text “Happy Easter” appears in pink letters on top of the flag and the bottom of the flag is rounded to the contour of the basket. 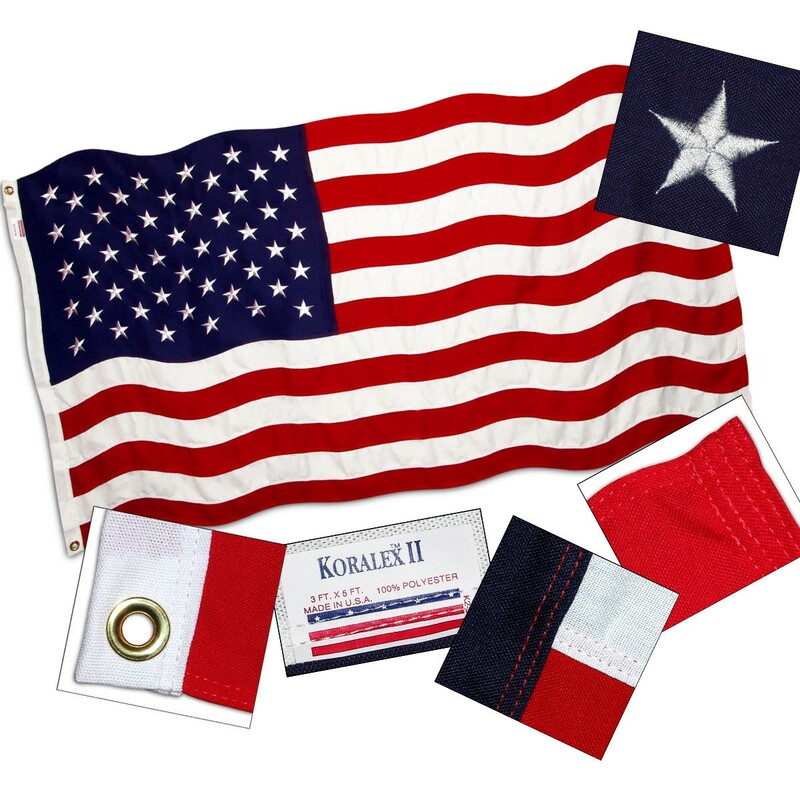 This flag is appliqued and embroidered, made of 100% polyester, and measures approximately 28 by 44 inches. Order one of these beautiful flags today for only $16.85. The 3D Bunny and Eggs Decorate Banner Flag is truly a unique flag. The flag features a pink and white bunny that spans the length of the length of the flag. The bunny is standing next to three large, beautifully decorated eggs. The flag is beautifully appliqued and embroidered but is also quilted to give it a three dimensional appearance. The flag measures approximately 33 by 40 inches but is cut to the contour of the Easter bunny and eggs. Order one of these beautiful flags today for only $19.99. These are just two of the beautiful flags available for Easter at the United States Flag Store. Visit the online store for the complete selection! St. Patrick’s Day is a fun and joyous holiday to celebrate, whether you’re Irish or not. To make the holiday more festive, order one of the festive St. Patrick’s Day flags available at great prices from the United States Flag Store’s online store. With a variety of designs to choose from, you simply can’t go wrong! Check out some of the great flags available that feature leprechauns, the St. Patty’s Day mascot that we all love! The Happy St. Patrick’s Day Decorative Banner flag is the perfect flag for anyone who loves leprechauns and loves to celebrate the holiday with a cool mug of beer. The flag features a red headed leprechaun with a bushy red beard dressed in a traditional green Irish suit and top hat. The leprechaun is holding a frosty mug of beer in one hand and a clover in the other. Plenty of clovers appear in the background, as well as a rainbow and gold coins. The text, “Happy St. Pat’s” appears across the top of the flag in gold writing. This flag is made from 100% polyester, measures approximately 28 inches by 40 inches, and is designed for vertical display. Order one of these great flags today for just $18.95, a savings of almost $7 off the list price. The Luck of the Irish Decorative Banner flag is another fun and whimsical leprechaun flag. This flag features a red headed cartoon leprechaun with red hair and a bushy red beard dressed in a green suit and a green top hat. He’s sitting in front of a big pot of gold coins. In the background, a rainbow arch appears in front of a clear blue sky. Clovers and gold coins appear scattered all over the colorful banner. This flag is a made from 100% polyester, measures approximately 18 inches by 40 inches, and is designed for vertical display. Order this adorable flag for just $18.95, a savings of almost $7 off the list price!